Anat Basanta is an artist who create/design a "Israeli Judaica" elements. Her works, artisticly and practically, dialog with israeli culture, tradition, and origin. 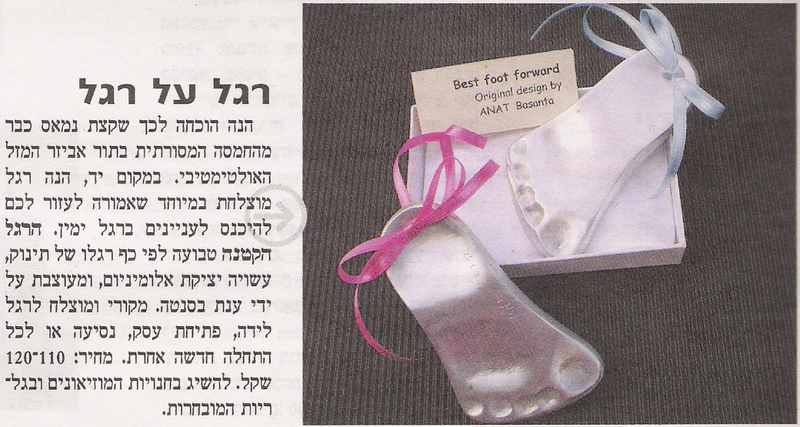 The little leg is based-on a foot print of a baby, made of aluminium cast and designed by Anat Basanta. Great original idea for birth, openning a business, travelling or any other new beginning. 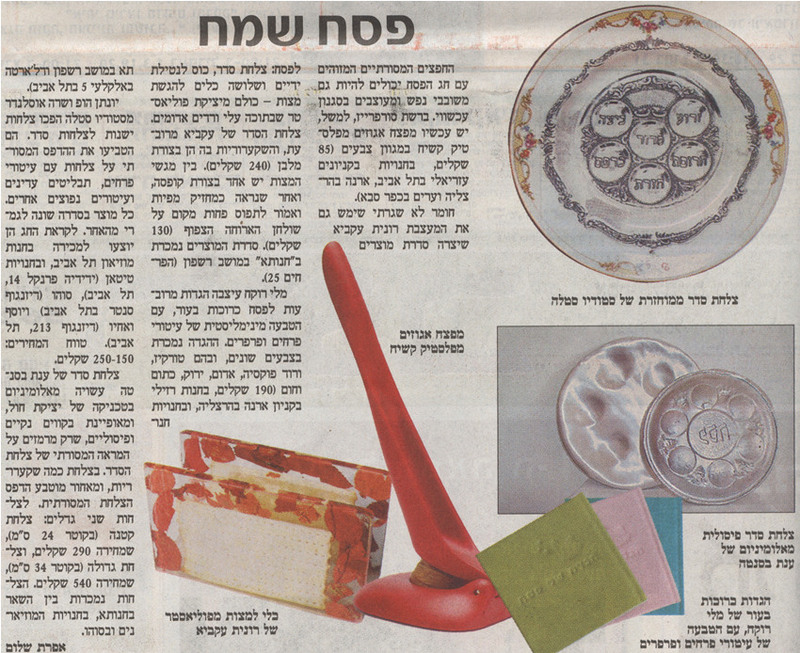 An aluminum cast Passover plate made by Anat Basanta. 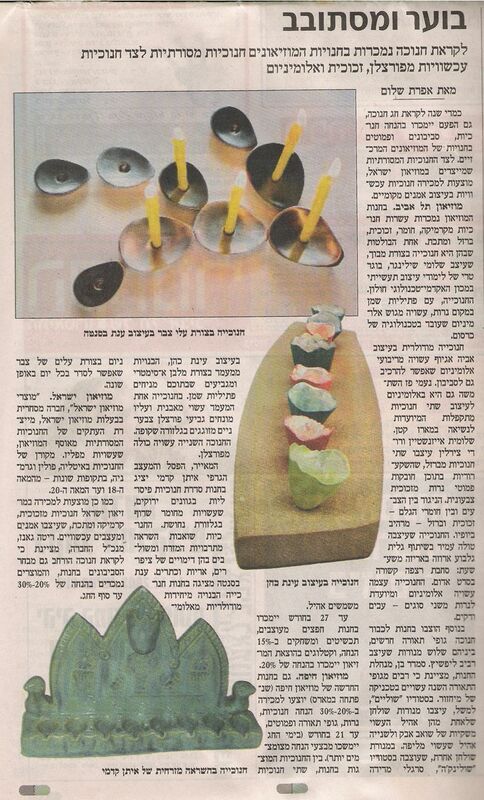 Has a clean, sculpture lines that only implies to the tradional look of the Passover plate. 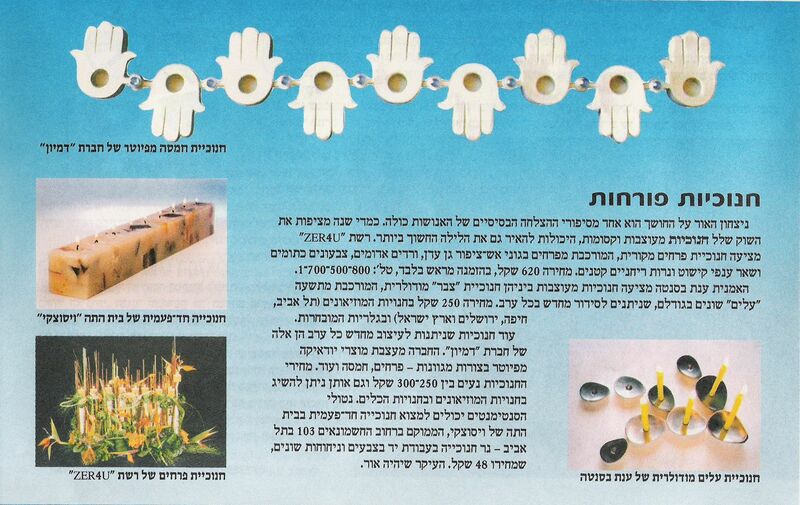 The artist Anat Basanta offers some originaly designed Menorahs. Among these there is the Sabra Menorah which has nine different size "leaves" that can be re-arrange in a new design every night. 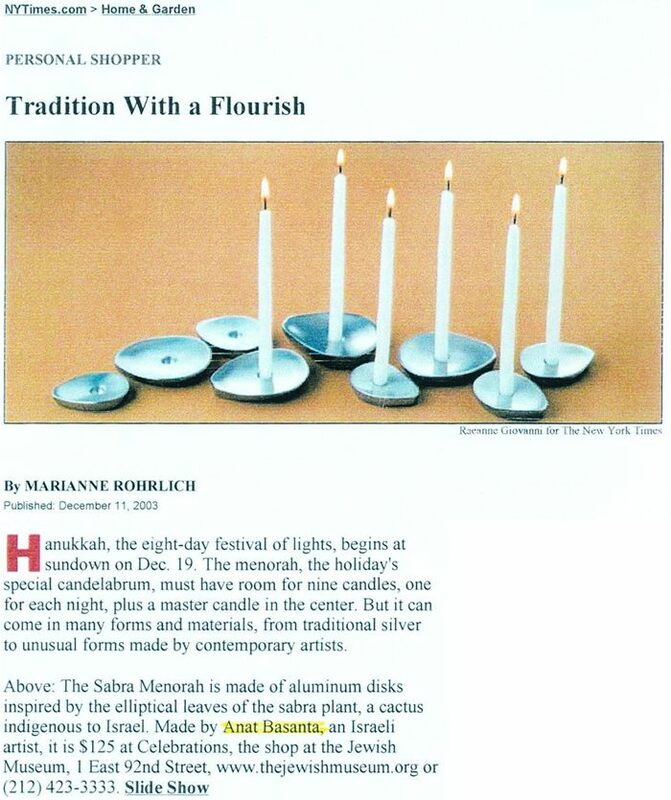 The Sabra Menorah is made of aluminum disks inspired by the elliptical leaves of the sabra plant, a cactus indigenous to Israel. Made by Anat Basanta, an Israeli artist. The artist Anat Basanta offers a modular aluminum Menorah shape as the sabra plant leaves and can be re-arrange in a new design every day.